You already know how important it is to personalize your Marketplace profile—and we've made it easy to do! Click the Marketplace icon in your Lovingly Account, and then click "Get Ready for Marketplace" or "Shop Profile." 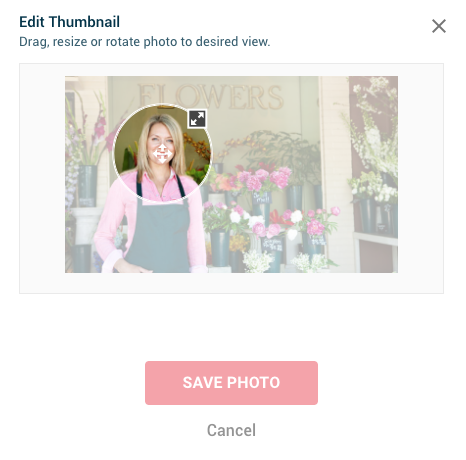 Click the "Upload a Photo" button and select the photo you'd like to use. Underneath the photo preview, if needed, click "Edit" to center the image around your face. After centering the image, click "Save Photo" and you're all set!